The larger organization many do not know and a good many do not understand is Brazil’s National Environment Council (CONAMA). CONAMA is a collegial policy-making body in which representatives from all levels of government (federal, state, local) and various non-governmental actors (trade unions, scientific and technical bodies, environment NGOs, etc.) participate and have equal say and vote. CONAMA has set national environment standards on such diverse questions as end-of-life (EOL) batteries and tires, recycling used motor oil, motor vehicle emissions, sound pollution and water quality standards. I discussed/explained this rather unique environmental norm-setting body last January, and why I think more Latin American and Caribbean (LAC) nations would benefit from establishing something similar. A CONAMA subsidiary body most people have never heard of is its Technical Committee for Health, Environmental Sanitation and Waste Management (CSSAGR), which, as the name implies, is responsible for all waste and sanitation issues. This latest meeting focused on which of the CSSAGR’s working groups (GTs) will start work, which must wrap up work, and which proposals for a GT to reject. That may sound like a big yawn to some of you, but to those of us who closely follow waste policy, it’s an very interesting indication of federal waste policy priorities in the next year or two. interstate movement of hazardous wastes: the Environment Ministry (MMA) and the federal environment agency, IBAMA, have been trying for six years to get consensus through CONAMA on a set of common rules to govern shipments of hazardous wastes across state lines. A draft CONAMA resolution was debated by the GT in August 2008, but the Group had not met since. CSSAGR decided that MMA will convene in September a seminar involving all the state environment agencies and interested local environment authorities to discuss in full the draft resolution before proceeding with more drafting/editing work in CONAMA. construction and demolition (C&D) wastes: CONAMA adopted a resolution on C&D wastes in 2002, but almost before the ink dried on it some state and local waste officials complained that it was not practical given the conditions and challenges most Brazilian cities faced. In 2008 the National Association of Municipalities and the Environment (ANAMMA) requested the convening of a new GT to revise the 2002 resolution. CCASGR had agreed to grant the request, but the GT has not yet been formed and convened. CCASGR ordered the new GT is to convene within three months, with CCASGR chair as coordinator and a representative designated by Alagoas to serve as rapporteur. 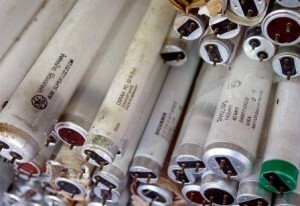 lithium batteries: After postponing a decision for three years to await the outcome of separate CONAMA negotiations to revise and replace its 1999 rules on EOL batteries and piles, CSSAGR decided to close the file on a 2006 request to form a GT to draft disposal norms for batteries containing lithium. electronic waste: The formation of a GT on WEEE was requested by an NGO as early as 2002, but CONAMA held off deciding on the request while the omnibus waste bill was being negotiated in the National Chamber of Deputies, since the decision whether or not to include WEEE in the bill’s proposals for special wastes requiring “reverse logistics” (take-back) systems would make a difference in the need and mandate for a GT. However, in response to stepped-up pressure from several state governments — Mato Grosso, Paraná and São Paulo already have WEEE legislation, with several others (here, here, here and here) poised to follow suit — CSSAGR gave the green light to the GT, with the President of Minas Gerais’ (MG) environment agency, FEAM, as chair, and the CNI as rapporteur [CNI probably will delegate its role to the Brazilian Association of the Electrical and Electronic Industries, ABINEE]. printer cartridges: In 2002 the Health Ministry (MS) requested CONAMA to form a GT on norms regarding the discard of ink cartridges for printers. The proposal was discussed by CSSAGR in 2005, and it was decided to put off deciding whether to proceed based on the outcome of the omnibus waste bill negotiations. CSSAGR now decided to close this file. packaging and packaging wastes: On the heels of the successful adoption in 1999 of Resolutions on end-of-life (EOL) batteries and tires, CONAMA leadership decided to form other GTs on developing norms for priority waste streams, including one on packaging waste. The industry associations representing the producers and main users of packaging, and of key packaging materials, challenged CONAMA’s legal right to do so. The first GT meeting was spent debating this point. While CONAMA and MMA defended the Council’s right to act on this issue, the CCASGR decided to defuse the situation by sending the issue to IBAMA for further study. Then in 2005 CCASGR seized on the excuse of awaiting the outcome of deliberations on the omnibus waste bill to further postpone CONAMA work on the issue. CCASGR now has decided (perhaps because packaging is addressed in the omnibus waste bill) to retire the file. used lubricating oil packaging: Rio Grande do Sul (RS) had petitioned to form a working group on the recovery and recycling of used oil bottles. Given that three states already have norms, and with bills on it pending in São Paulo and Bahia, it’s not surprising that CSSAGR granted the request. CNI will chair the group, with ANAMMA serving as rapporteur.